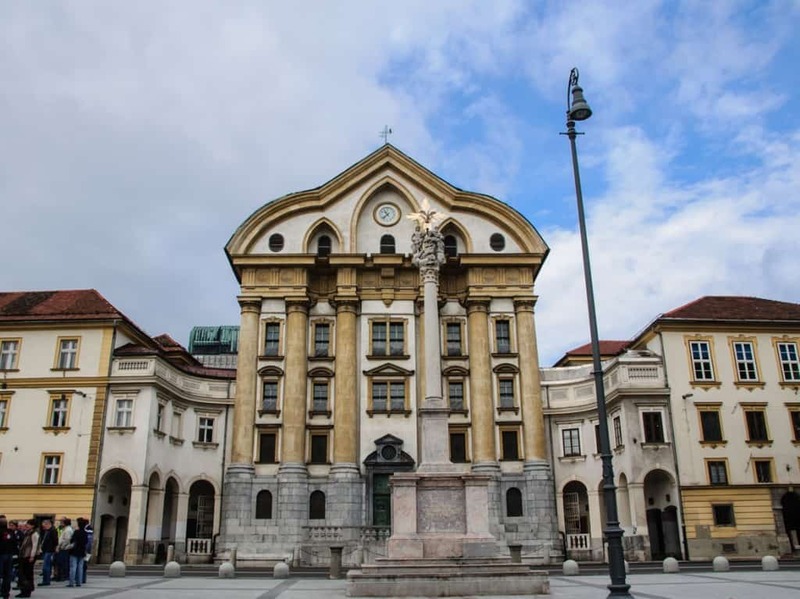 Ursuline Church of the Holy Trinity, officially Holy Trinity Parish Church in Ljubljana , also Nun Church, is a parish church in Ljubljana, the capital of Slovenia. It is located at Slovene Street, along the western border of Congress Square. It was built between 1718 and 1726 in the Baroque style. 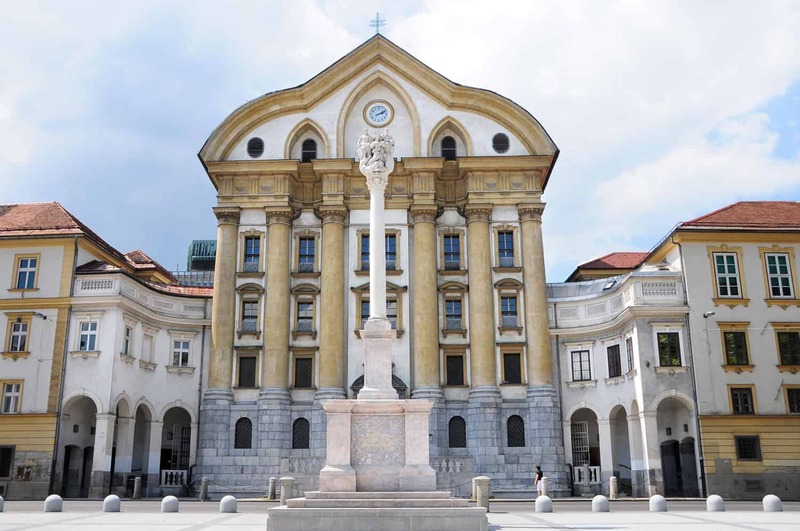 The church was designed by Carlo Martinuzzi, a Friulian architect, and is noted for its extensive altar made of African marble designed by Francesco Robba, who also built the Fountain of the Three Rivers of Carniola which stands on Town Square in Ljubljana. 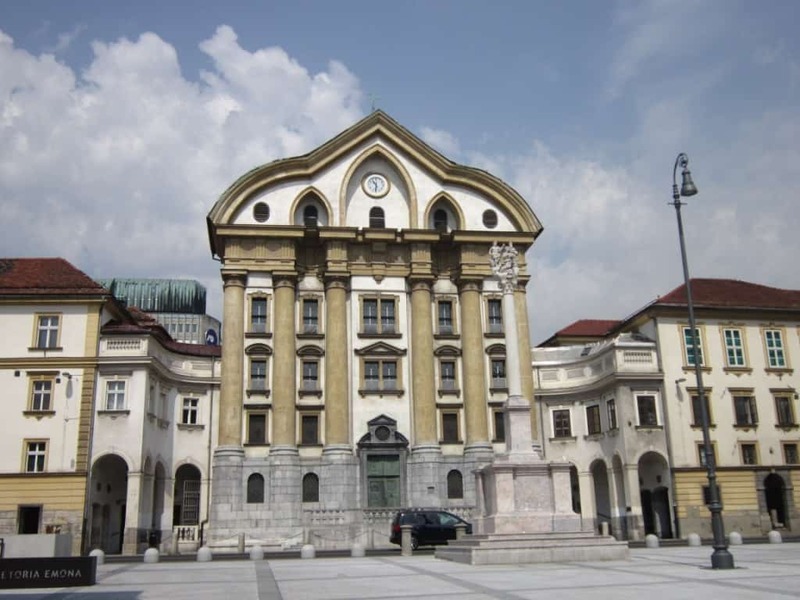 The original bell tower was destroyed in the Ljubljana earthquake of 1895. The current one was built in the 1900s. The staircase in front of the entrance has been partially designed by the architect Jože Plečnik in 1930.